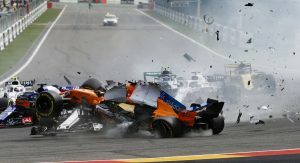 The FIA’s final report regarding Charles Leclerc and Fernando Alonso’s crash during this year’s Belgian Grand Prix at Spa points to the Halo cockpit protection system as having saved the young Monégasque driver from a visor strike. 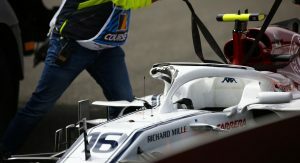 While the assumption has always been that the Halo did do its job in keeping Leclerc safe, it was only recently found that Alonso’s endplate would have impacted the Sauber driver’s helmet visor, according to Autosport. In fact, the Halo not only managed to remain structurally intact despite the 58 kW impact from Alonso’s right front wheel, but it also worked to deflect the McLaren away. Analysis revealed that the relative velocity between the two cars was 30 km/h (19 mph), with an estimated impact angle of 90 degrees. 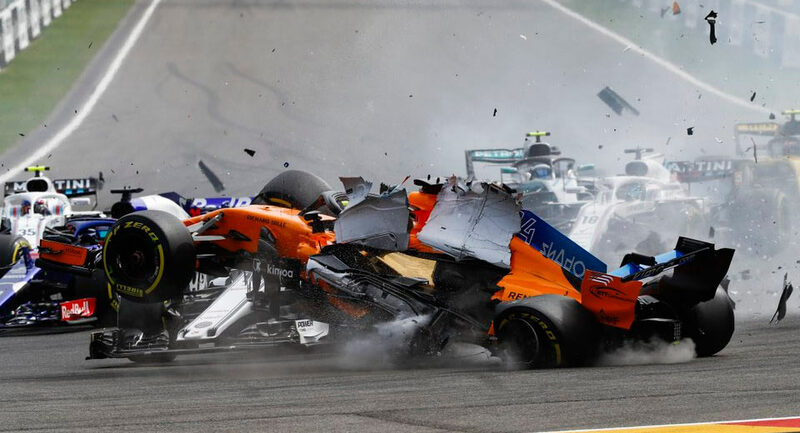 While the wheel-to-halo impact was severe enough so as to break the suspension on Alonso’s McLaren, the right-front wheel rim and tire remained intact. The report also noted how if the full mass of the McLaren had impacted the Sauber’s Halo through the primary structure, the energy would have been roughly 30 kJ (based on 840 kg at 30 km/h). 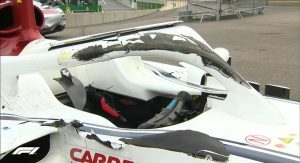 In turn, this could have had devastating consequences if instead of the Halo, it would have hit Leclerc’s helmet. Looking at the pic 3 I think that the word “injury” is not suitable here. Try with “killed” as it looks like a direct hit in the head, which at these speeds will introduce such a force on the skull and neck that a fatal outcome is with high probability. The marks you see on the halo come from the tyre. The FIA clearly said the tyre wouldn’t have hit Charles’ helmet. 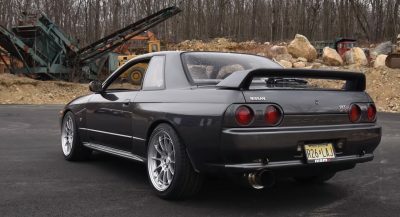 I always hated the look of the halo. Makes the car look like a giant flip flop. But hey, it works very well so I’m glad it’s there.